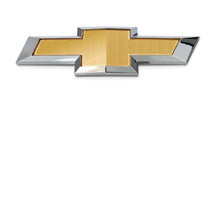 Chevrolet provides customers with fuel-efficient vehicles that feature spirited performance, expressive design, and high quality. Kids want an online space of their own where they can make their voices heard and engage with the world. With WordPress, the sky’s the limit! Its streamlined and simplified user interface is so easy to learn, your child can set up a site and be blogging in no time (and privacy controls let you protect them, so their first forays online are safe ones). Having this knowledge opens up an instant online home for them to enjoy and puts them ahead of the curve — it could even result in a career in web design or development. Life360 is the best way to stay connected to family, friends, and everyone in between. Founded in 2008, Life360 helps over 21 million families stay connected and is a free app for iOS and Android. Life360 uses location-based technology to help its users stay connected throughout the day via a private map and chat stream, regular check-ins, and “panic alerts” when needed. Earlier this year, Life360 added “Places,” a popular geo-fencing feature that allows users to designate their favorite locations and receive automatic alerts when family members arrive. Also this year, Life360 launched a Premium product which provides access to a 24/7 Live Advisor, roadside assistance, unlimited use of Places, expanded location history, $100 in stolen phone protection, and location lookups for non-smartphones. Kitu Kids, bilingual animated stories and apps, both for iOS and Android, will take children around the world to learn about geography, history, and culture! Sticker Mule is the fastest and easiest way to buy custom stickers. They offer free online proofs, 5 day turnaround and free UPS Ground shipping. With print runs starting at $49, they aim to be the Internet’s favorite sticker printer. Trendincite‘s goal is to enable you to capture inspiration from unexpected places, enjoy the creative process, and ultimately design distinctive products. 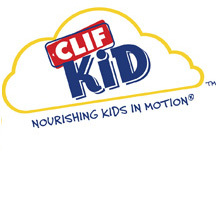 CLIF Kid® makes great-tasting, on-the-go organic snacks with the nutrients kids need most, such as complex carbohydrates found in whole grains, protein, fiber and vitamins and minerals, or a serving of fruit, often missing from their diets, to sustain their growing bodies. Herr’s is a family owned and operated company with a focus on innovative and unique flavors, quality, and community. Sassafras Products people love! Innovative, well-designed products for the home and home cook, with an emphasis on kids. MWP (Michael Wiese Productions) is the number one publisher in the world for indie filmmakers. Our best selling book, Filmmaking for Teens, is written by Key Note Speaker, Clay Nichols. Please join our mailing list at www.mwp.com for 25% discount on all of of books, information on workshops and product releases. The LEGO Group is a privately held, family-owned company, based in Billund, Denmark. It was founded in 1932 and today the group is one of the world’s leading manufacturers of play materials for children. The LEGO Group is committed to children’s creative development and learning, and its products can be purchased in more than 130 countries. LEGO and the LEGO logo are trademarks of The LEGO Group. ©2013 The LEGO Group. Our media partners are helping us to get the word out about the conference. Please visit their sites, bookmark them, and read them.